Why Should You Eat Watermelon Everyday? So, your risks of developing an asthma can maximize if you’re not consuming enough nutrients, especially Vitamin C. Hence consuming this fruit can help increase your nutrient intake. Watermelons are an excellent source of antioxidants and can help combat the formation of free radicals that are the cause of cancer. Lycopene intake, for example, has been linked to a decreased risk of prostate cancer prevention in several studies. According to the American Journal of Hypertension, watermelons are known to reduce blood pressure of middle-aged adults with hypertension. The study also showed that watermelon consumption improved arterial function. Watermelons contain choline which alleviate chronic inflammation. This vital nutrient aids in sleep, muscle movement, learning and memory. It also helps in the transmissions of nerve impulses, maintains the structure of cellular membrane and helps in the absorption of fat. It’s a food for great skin! 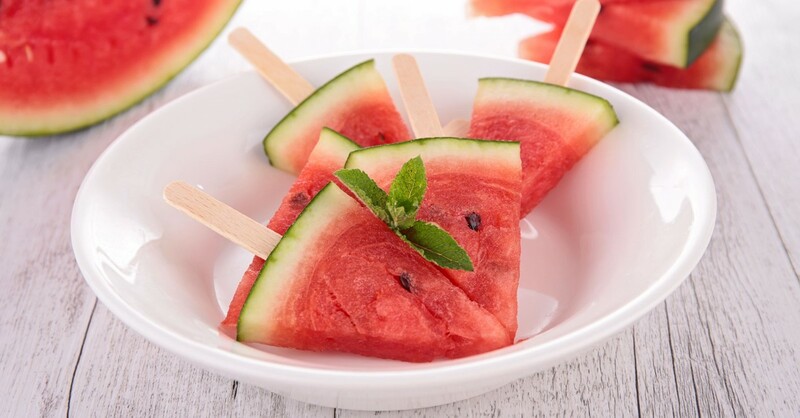 Watermelons contain vitamin A, a nutrient required for sebum production that keeps hair moisturized. Vitamin A is also necessary for the growth of all bodily tissues, including skin and hair.